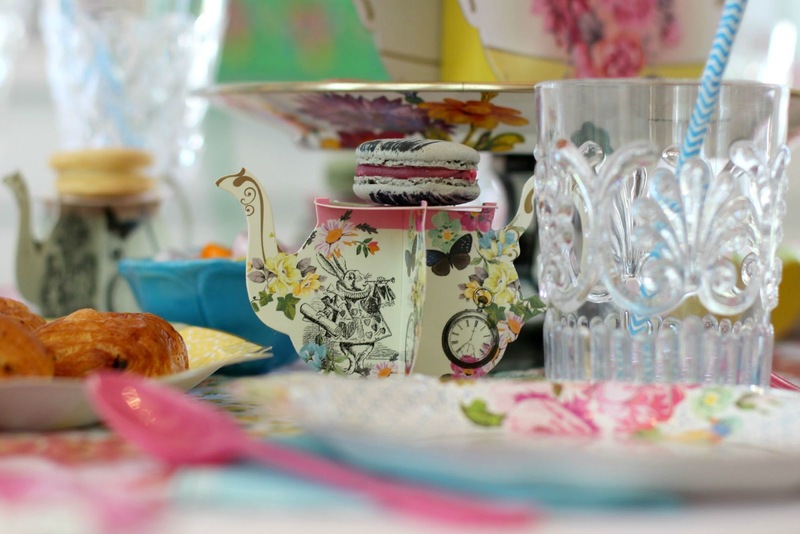 For the Love of Character: Tea Party - Table Settings Fit for a Queen! Welcome back to the tea party! Now that I've shared the invitations, I want to (excitedly) show you the fun table settings I did. The great thing about these table settings, you can get most of the items right in my shop! Plus, even better, they are mostly easy cleanup and kid friendly. That was definitely important when hosting a tea party for 13 children. Yes, you heard that right, 13! They ranged from baby to kid and they were all so adorable. Since they were small, I decided to have the party in my sunroom with a coffee table as the tea table. It was low to the ground, so they could all easily sit or stand around during tea time. Chairs can be tricky when you have a wide age range because they can be all different sizes. With a coffee table situation, you do have to remember they can reach everything! Hence rule number one, avoid breakables! My friend Angela walked in and got mad at me because she thought I put crystal glasses out - um heck no, they were acrylic! Made me laugh. 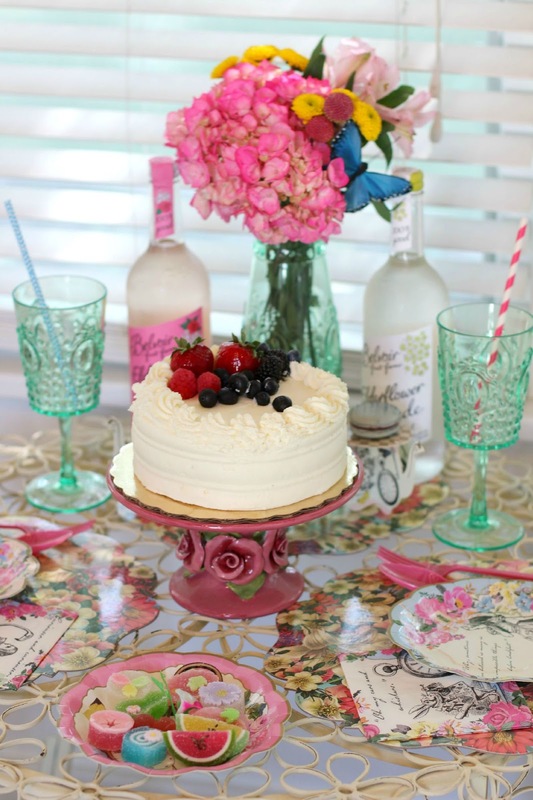 I love how bright and pretty the prints are on the plates and platters from our Talking Tables party collection. For the individual settings we did a mix of the Big Tea Plates and Little Tea Plates. The patterns are dreamy. Then for the food, I used the Large Serving Plates. Seriously that's all paper! 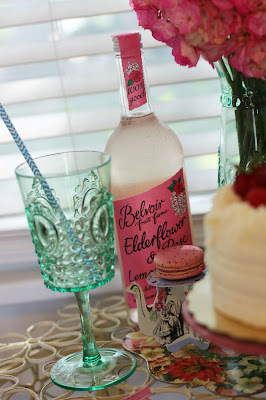 To display the French Macarons I picked up at Whole Foods, I used our adorable Truly Alice Teapot Cupcake Stands. The Blue Lace Cocktail Napkins and Pearls & Pastries Doilies were perfect for adding pops of color on top of the plain white table cloth. 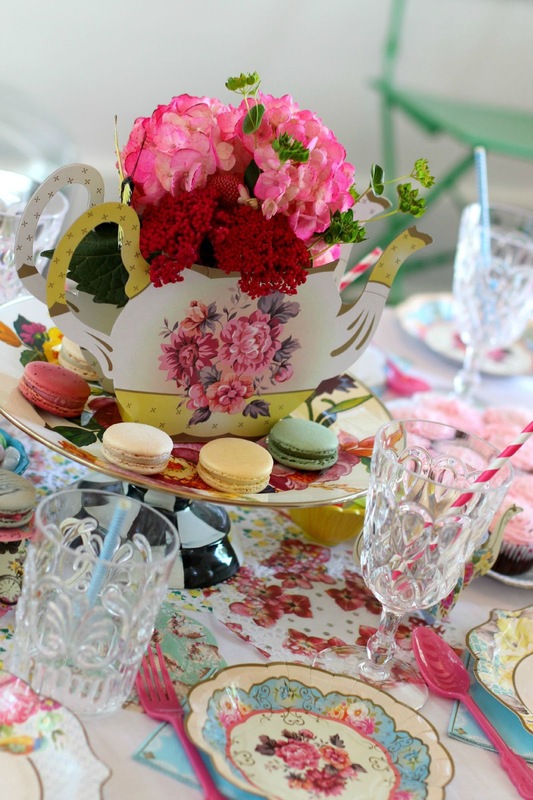 The Teapot Vase was charming and perfect for the center of the table! I love how it all came together. At the party, we had the older kids help us fill drinks and play with the toddlers. I wanted them to feel special with their own "Big Kids Table" and thought it would be the perfect place to use our Truly Alice pieces. I love how pretty it turned out! 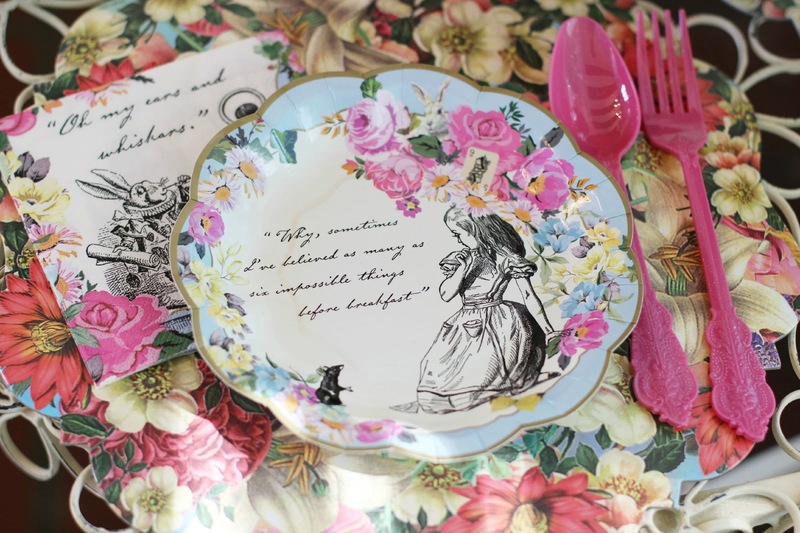 The Truly Alice Plates and Napkins make a table. 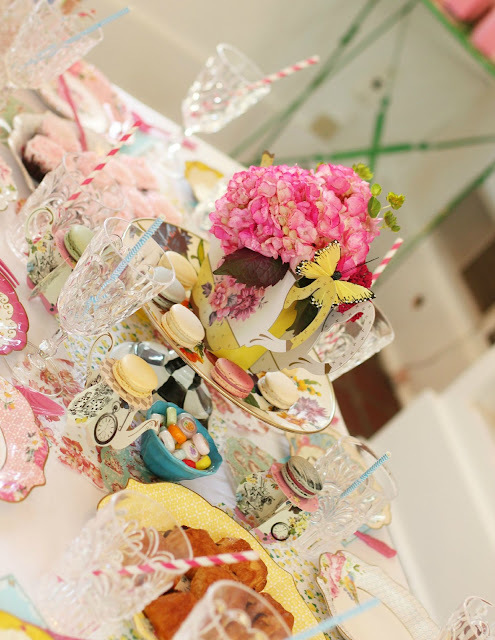 The are bright and cheery and full of Wonderland character!